When it comes to the perfect wedding plan, no one can deny the importance of a DJ or a Band. To end up with the perfect big day, you need to choose the right wedding entertainment that can match the personality of both bride and groom. It is also important to have a look at your personal taste, musical style and atmosphere within your budget. There are numerous choices when it comes to wedding entertainment Melbourne where you can select between DJ and band, whatever your choice maybe. Nowadays, although DJs have made a good name in most of the wedding plans, still bands are successfully finding their place in the wedding entertainment scene. So what is the right choice for you? Live music is no doubt a perfect way to celebrate a wedding night. The majority of wedding bands Melbourne have exceptional skills to set the scene at the reception. Each band has their own unique style of playing music that engages the people and keeps them entertained. If you have hired your favorite band, don’t expect them to play all of the hit songs they have listed on their playlist. They will only be responsible for making the event charming, entertaining and sometime humorous within a limited timeframe. If you have decided to go for the perfect band, make sure to do it in time. Start the search well ahead of time, probably six to seven months before. Prices will differ from band members to the length of reception. For instance, band of four person will cost approximately $2000 to $2800 for a five hour call out. While five to six members band will cost you approximately $2500 to $3500. You will find different deals depending on the circumstances of the event, but make sure you hire a quality wedding videographer and photography to capture the bands work! After hiring the wedding band of your choice, make sure to guide them on what type of music and songs should be played and which one should not be in the list. Moreover, decide what party games should be included, which guests should be called upon stage and how to surprise the audience with special appearances! Hiring a Wedding DJ Melbourne is still a great choice to keep your guests entertained and add great fun to the party. It is more flexible than having a musical band because of diverse musical tastes. 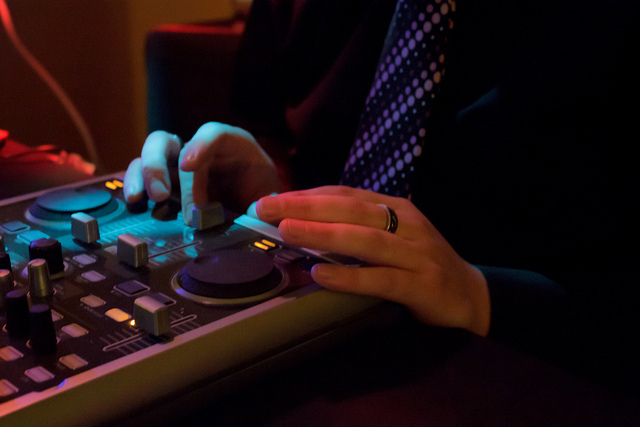 A DJ can play from all types of genres, tempos and customize the playlist according to the event at your reception. Even though, choosing a DJ can prove to be more effective and a wiser decision as compared to a musical band; still personal preferences must be taken into consideration. A Wedding DJ Melbourne normally charges around $800 to $1400 for a five hour call out, but can differ on how large the sound system and lighting effects are offered. Make sure to communicate all the requirements honestly to the DJ before making the payment or your wedding plan may suffer as a result. If you wish to entertain guests to the fullest, make sure you hire both. This option will surely customize your musical taste. DJs can perform when guests are on the dance floor while bands can entertain while the guests are seated and enjoying the drinks and meal. No matter which option you choose Wedding DJ Melbourne or Wedding Bands Melbourne will be sure to make your special day unforgettable! For further information on booking wedding djs or wedding bands in Melbourne contact Calibre Entertainment www.calibreentertainment.com.au and send through an inquiry today! Very nice post on wedding band Vs DJ!! It’ll be very helpful for the people who are confused to choose one for their wedding. I am getting engaged at some local event venues Seattle and would like to hire the best DJ for the party.